If only this week were another holiday-shortened trading session. All major indexes collapsed on Friday over concerns about Greece, a bubble in Chinese stocks and less than impressive earnings results from a few companies. For the week, the S&P 500 fell 1% while the Dow Jones Industrial Average and the Nasdaq Composite retreated 1.3%. Equity markets have been held in check over the past several months by the dribble of disappointing macroeconomic news, but the next three weeks should put the emphasis on corporate earnings, where expectations are low. Last week, the Consumer Department released data showing an increase in spending for the first time in four months. Sales at retailers and restaurants jumped 0.9% to $441 billion in March, the biggest monthly gain in nearly a year. However, the rise was smaller than most economists expected as many experts thought the winter thaw would bring consumers out in greater numbers, especially given falling gas prices. So far, many appear to be putting the gas savings in the bank. For February, the personal savings rate reached 5.8% its highest level since the end of 2012. Some, including Federal Reserve Chair, Janet Yellen, expect consumer activity to pick up throughout the remainder of the year given the improving jobs data and continued low gas prices. 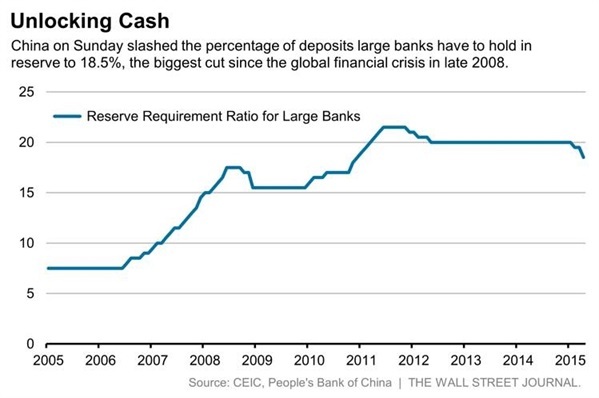 Over the weekend, the Chinese Central Bank slashed its reserve requirements, lowering the amount of cash banks are required to hold and freeing up an additional $200 billion to lend and stimulate the economy. The cut was widely expected, but the magnitude of the cuts took many experts by surprise. The move illustrates the government’s concern of slowing economic growth over its stock market bubble. The Chinese economy is only expected to grow 7% for 2015, but some economists consider this benchmark too high. Over the past decade, most of the growth has been fueled by debt-driven infrastructure spending. Debt capacity has been stretched to near its limit, so the growth reins need to be passed to the consumer sector. However, consumption accounts for just 30% of GDP, making it harder to achieve growth targets without building new airports and highways. 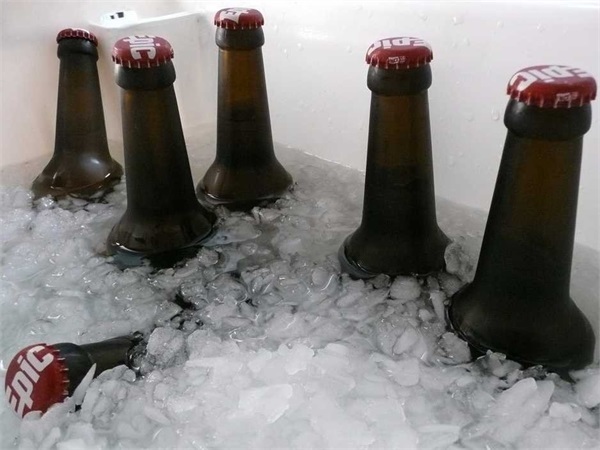 With the weather finally warming and cookout season rapidly approaching, many are probably asking themselves one of the most important questions of the season: how much ice do I need to cool my beer or soda? Chilling drinks can be as simple as dumping ice in a cooler, but simple physics can ensure that you have the appropriate amount of ice to do the job. By taking into account the desired ending and starting temperatures of the drinks, the heat capacity of materials (cans or bottles), you can calculate the amount of thermal energy needed to achieve the temperature change and derive the amount of necessary ice. For anyone who doesn’t want to review the high school physics, the bottom line is about a half of pound of ice is needed for each 12 ounce can of beer. Next time you crack open a cold one with the perfect chill, be sure to toast science.